During the annual Fuse meeting earlier this year, HPS Schönox was recognized as the Supplier of the Year. With just a few years on the market, this award was a huge accomplishment for the Florence, Alabama-based company. As part of the never-resting spirit of the company, HPS Schönox is not satisified with this achievement alone. In order to grow an even more customer- and project-specific focus, Kris Day, HPS Schönox National Account Manager, will assume a new role beginning Nov. 1, 2018. In addition to his responsibilities with HPS Schönox, he will also be the Key Account Manager for Fuse Commercial Flooring Alliance. 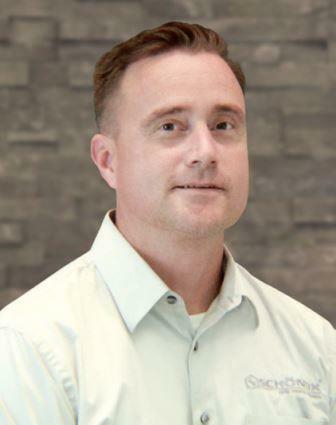 From the Nashville, Tenn., area, Kris joined HPS Schönox in 2012, growing his territory along with the company, ultimately achieving his role as the National Accounts Manager. Geoff Gordon, executive of Fuse Commercial Flooring Alliance, which is based in Parker Colo., and is member-owned, said he is pleased by this step and how the two companies can continue to expand their partnership. Schönox, HPS North America, a business unit of HPS North America, is a customer-oriented, entrepreneurial, high-tech company that specializes in building materials suited for new buildings as well as for renovation. Innovative materials include primers and moisture mitigation systems, subfloor repair products, floor leveling compounds, adhesives, and waterproofing materials for installing all types of floor coverings.